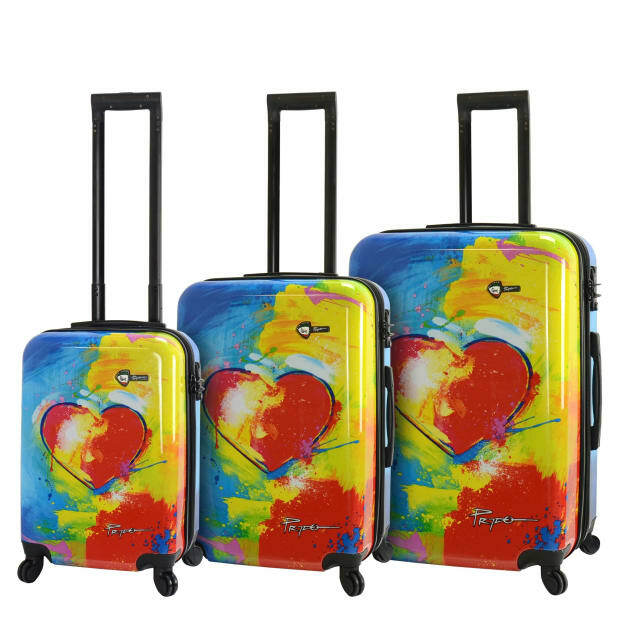 The creation of the Prado - "In Love" hardside spinner luggage began with one complex goal; The Fusion of art and science together. When design and craftsmanship meets state of the art, our experience is revolutionary. The Mia Toro brand, meaning “My Bull” in Italian, simply stands for strength, beauty, technology and how your travel experience will change to a new exciting level. The durable hard shell construction is made of hardside Composite, using the finest wheels, handle grips and the utmost detail to perfection and craftsmanship. You will travel in the latest style with the Mia Toro brand.